Private cottage in the veld (sleeps four) two en-suite bedrooms, living area with built-in fireplace/braai and kitchenette. Outside braai facilities on the stoep. 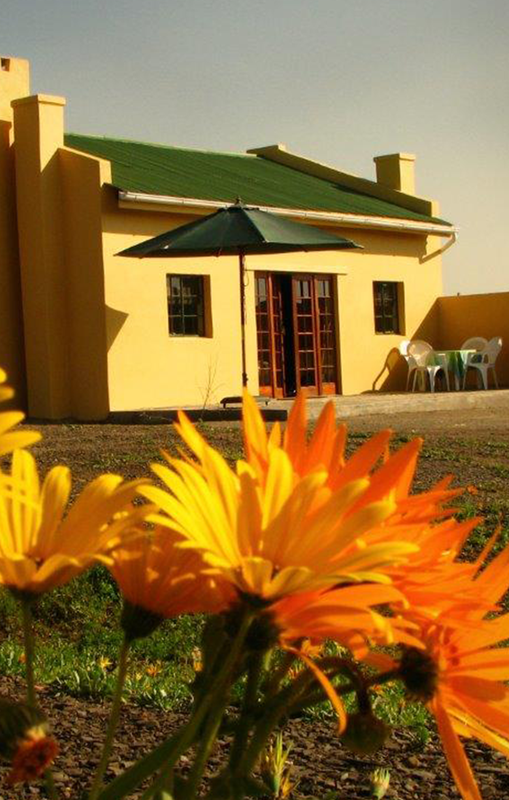 Self-catering farm accommodation, only 20 km from Nieuwoudtville. Centrally located and easy to reach, even by car. Only 2 km from the famous quiver tree forest. Ideal for day-drives in the area during flower season. Perfect stopover between CapeTown and the Kalahari. Large farmhouse also available for a group of eight travelling together.